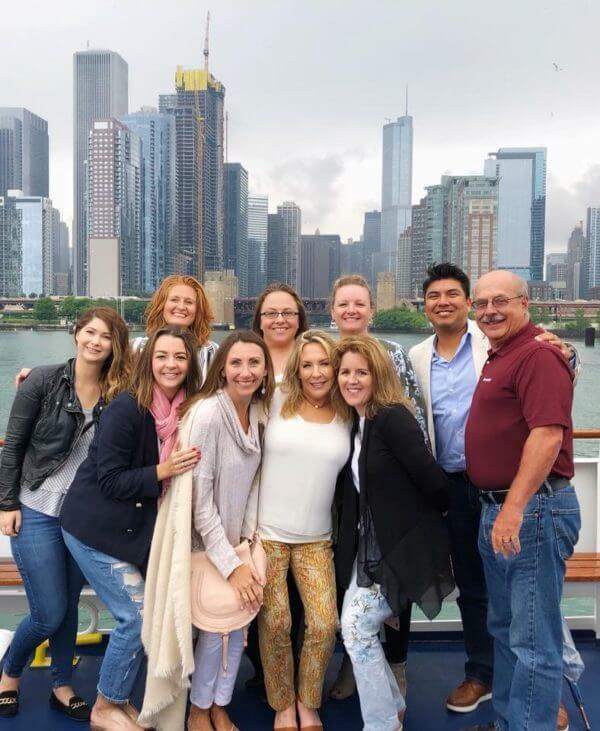 Last week our Selections Coordinator extraordinaire, Tiffany, spent the week in Chicago learning all about two of our favorite appliance brands, Thermador and Bosch, newest luxury product lines. In fact, we love them both so much almost every home we build has one, if not both, in the appliance packages. 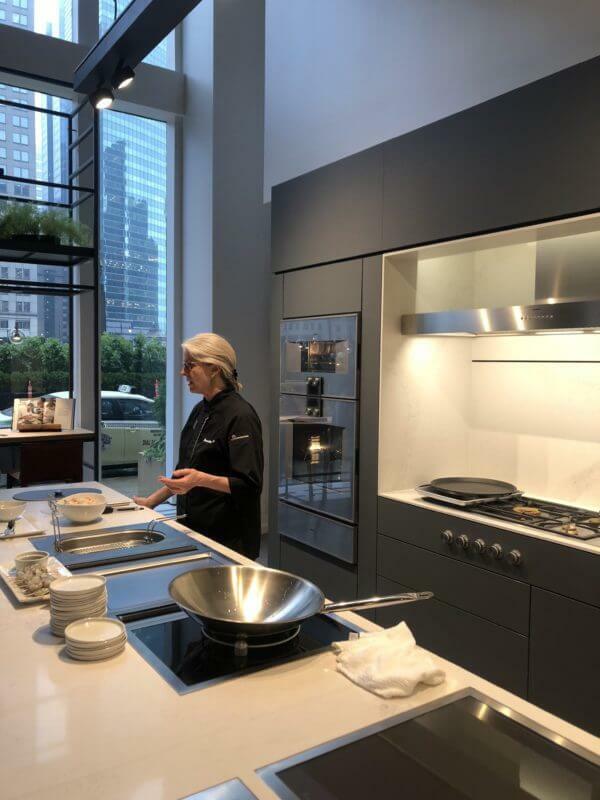 Not only did Tiffany get a first look at the new products coming out this fall and beyond, but she also got some serious lessons in both steam oven and induction cooking, two trends that are taking off in kitchen design. We have so much knowledge to share, so let’s get to it. Let’s all take a minute to be jealous of Tiffany’s trip to Chicago! An awesome group of Houston designers took the city by storm. First things first, did you know that Thermador and Bosch are owned by the same company? And both companies believe in manufacturing products where they sell them, so 75% of the Bosch and Thermador appliances sold in America are actually made here, despite their German heritage. It’s probably because of their German heritage that both brands’ newest products feature a sleek European design, something we are so excited to share with clients. Thermador is giving all of their products a major overhaul! So big, that all their old designs are on the way out and you’ll only be able to order from the newly redesigned series starting this fall. Still named the Professional and Masterpiece Series, the new lines offer distinct styles—though both embody quality craftsmanship, incredible design, and exceptional innovation that Thermador is known for. And we’re not sure what we’re more stoked about, that the 1-2-FREE program isn’t going anywhere or the fact that their new lines can be installed flush-mount. #nerdybuilders, we know. We could talk all day about the new lines, but here are the highlights. Professional Series ranges will have large knobs and dials while the Masterpiece Series has a more contemporary design with sleek handles and touch controls. New ranges (coming in January 2019!) will offer a 2-burner induction top OR a drop-in steamer in-lieu of your griddle, so you get the both of best worlds in one! The new 30” steam + convection oven is the largest on the market and truly has superpowers when it comes to cooking your food in a whole new way! You can use each function on its own or combine for flexibility – think of a super moist chicken with a nicely browned skin. Wall ovens will now offer soft-close and some models will also have side-swinging door options. 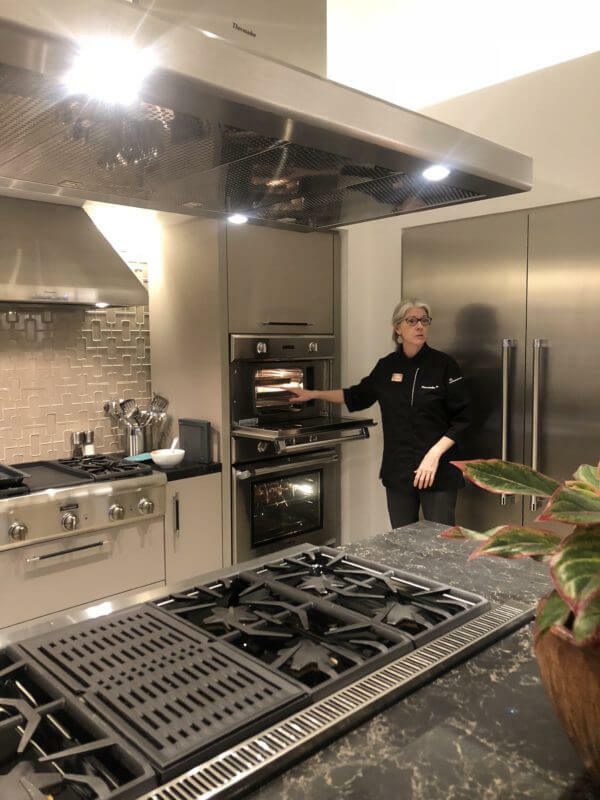 Speed ovens, another new super appliance that is growing in popularity, combines the power of convection cooking and microwave power to cook faster than ever before. 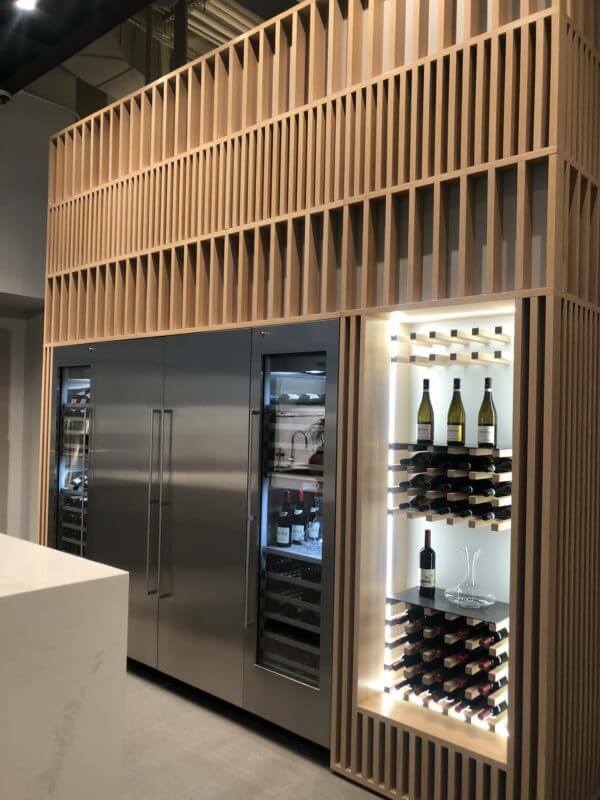 Our favorite Freedom Tower Fridges and Freezers now come in 36” columns and the wine towers have added a third zone. Cheers to that! The new Star Sapphire dishwasher now offers StarDry™ featuring zeolite, meaning no matter the material, it comes out dry! While ZeoLite is rolling out to Thermador first, new Bosch dishwashers will also get this feature. Switching gears to Bosch, they have some seriously cool new appliances that are making our team giddy with excitement, too! The Benchmark Series is the luxury line and features their FlexInduction with Power Move cooktop for one of the most innovative cooking experiences on the market. We’re still in awe of the power of the electromagnets that heat ONLY the pan leaving the cooktop cool to the touch the second you move the pan. Pure magic. The Power Move feature allows you to slide a pan, so it goes from boiling to simmer to warm without any knobs or buttons. More Bosch news that had us jumping for joy. Bosch has been leading the charge in smart appliances with its Home Connect, Alexa voice-activated control system. From appliance control to help with delivery and maintenance, Bosch’s Home Connect adds t experiential living. The new line of micro appliances, between 18”-24” wide, are perfect for your mother-in-law suite, a game room or a garage apartment. It even features a 24” dryer that doesn’t need ventilation. Bosch is also introducing side-opening doors for their built-in ovens. Black Stainless Steel is a new finish option. Again, speed and steam ovens are taking off, and Bosch is not missing out on the trend. They offer combination options that have dual functions that can be used independently or combined for a more powerful cooking experience. We’re also pretty pumped about the flush-mount design which is perfect for a modern kitchen. Their dishwashers are the quietest on the market and have higher than Energy Star requirements. Additionally, the encapsulated base beneath the tub provides 24⁄7 leak protection from the automatic shutoff when a float switch activates. We could go on and on about all the new products and features. Have questions or want to learn more? Shoot us a note! We’ll be happy to geek out about appliances at any time or day.